When I initially set out to challenge myself on finding my Ultimate Make Up Bag Heroes, I thought I would come out with a rainbow of colourful lipsticks, amazing highlighters and blushers-galore. But it actually all boils down to some pretty practical products. That’s not to say they aren’t amazing. Just perhaps slightly more boring than you had hoped! They’re of the more prepping-priming variety and are things that I use each and every time I do my make up so are equally as important, if not more so, as the exciting, jazzy products. Perhaps I’ll do a post on those soon?! Or rather, the Beauty Blender, to go by it’s catchier brand name. Some might say the price point on this egg-shaped, hot pink wonder might be a little too steep for what is essentially, just a make up sponge. Oh, but it is so much more than that. This applies my foundations (yes, plural, my name is Heather and I’m a Foundation-aholic) like a dream. If I’m going for a more sheer, dewy look then this is perfect. Just a few blobs of liquid dispensed on to the sponge and dabbed on to the face gives a gorgeous, glowy look to the skin. I also use it to apply under eye concealer and for any spot concealing. I find it doesn’t leave the concealer looking cakey or creasy. You can also use this to blur out your contour or highlight if you’ve gone slightly over the top (I acidentally-on-purpose do this all the time). Pretty perfect all round really! My next hero is the Clarins Instant Concealer. Once upon a time, I never used to wear under eye concealer, oh those were the days… but as of late, approaching the latter end of my twenties (crying face emoji) I’m reaching out more and more for something to disguise those dark circles. I don’t have dry skin whatsoever but everything I went for seemed to crease and highlight the ever-growing fine lines under my eyes. Until I gave this a go. It’s so lightweight yet has excellent coverage and really brightens up my whole eye area and in turn, my face. My Mom is forever digging in to my make up bag and “borrowing” things. She has quite dry, mature skin but once she gave this badboy a go, she went and bought herself a tube so I’d recommend for skin types on both ends of the spectrum. It does, however, have a downside – the range only has 3 shades. Sort it out Clarins! Next is something for the eyes… Mac Paint Pot in Layin’ Low. I had my make up done at a Mac counter a couple of years ago and the girl working on my face put this on under my eyeshadow and really recommended it. I don’t know what made me buy it to be honest because it wasn’t even something you could really see once my eye shadow had been applied but I am sooo glad I did! There are Paint Pots-a-plenty in a wide variety of colours but Layin’ Low is a skin toned nudey-tan shade, meaning it blends out the lid beautifully and I often wear just this now with a bit of liquid eyeliner. It also works really well as an eye shadow primer as it gives the powder something to really grip on to and diminishes any oily lids. I don’t think a day has gone by where I have worn make up and not used this. And almost 2 years later it’s still going strong, lasts for yonks! Elizabeth Arden 8 Hour Cream Lip Protectant Stick (SPF 15) isn’t just something I keep in my make up bag, I carry this with me everywhere. I have a huge pot of this next to my bed (another product that has lasted me in the region of 18 months and still going strong!) plus a lipstick-style version in my make up bag. I put this on morning, noon and night. It keeps my lips soft and smooth whilst protecting them with a dash of SPF. I always apply this just after putting on primer to maintain some moisture in the lips before finally applying lipstick. It also works great to tame brows or as a natural, glossy highlighter! Ok, so it’s not the cheapest lip balm on the market, but I’m yet to find one that has this effect, with SPF and lasts so long on the lips! Ok, let’s end on something slightly more exciting. Hourglass’s Ambient Lighting Powder in Dim Light. This powder is like an Instagram filter for your face IRL. No joke. I don’t know what the science is behind it but it just blurs everything ever so slightly, making your skin appear pretty darn flawless. Built up under the cheekbones, this also works as a great, subtle contour for me, but I mainly just plaster it all over the face with a massive fluffy face brush (the Real Techniques Powder Brush is my go-to for this). Hourglass do a few different shades of their Ambient Lighting Powders, including a palette of 3 different shades (which I’ve been wanting to splash out on ever since they released it but just can’t seem to justify it while this one is still going strong), so if this one is too light or dark for you, another shade might be to your liking. It also comes in a gorgeous compact with a mirror inside for any on-the-go touch ups. 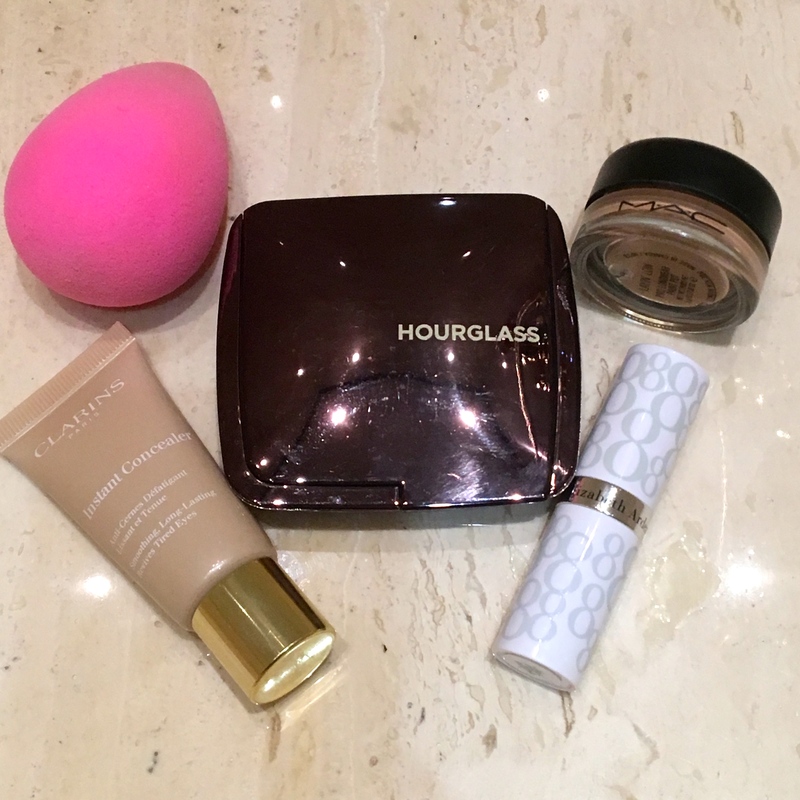 I’m lusting after that Hourglass powder so bad!